The most secure way to update your billing information with PayGo is through your account in PayGo’s Help System. In this article, you’ll learn how to update your billing information with PayGo. Then, enter your account name and password into the fields provided in the Sign In screen. Next, click the Sign In button. If you don’t know your account information, you can retrieve it by clicking here. 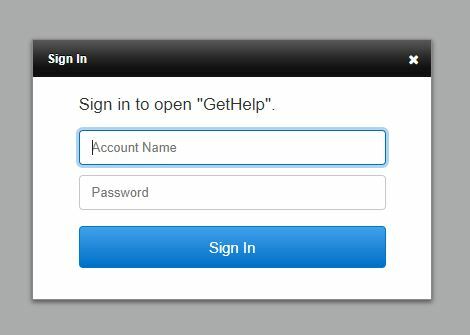 Once you’ve signed in, you will arrive at your PayGo Help System screen. 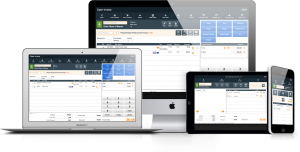 Billing records are listed within the Billing Information box located on the bottom left side of your screen. 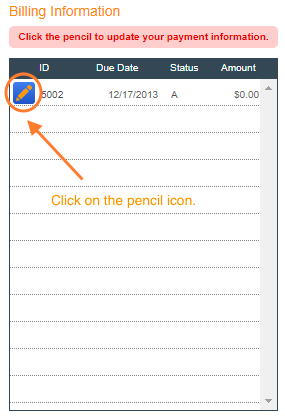 First, click on the pencil icon within the billing record you wish to edit. Next, complete ALL FIELDS in the Add a New Card section of the screen that opens. Fields include: credit card number, expiration date, security code, billing address, and zip code. You must initial to agree to the automated billing to pay for services. Then click the Use This Card button. Your information will be saved.